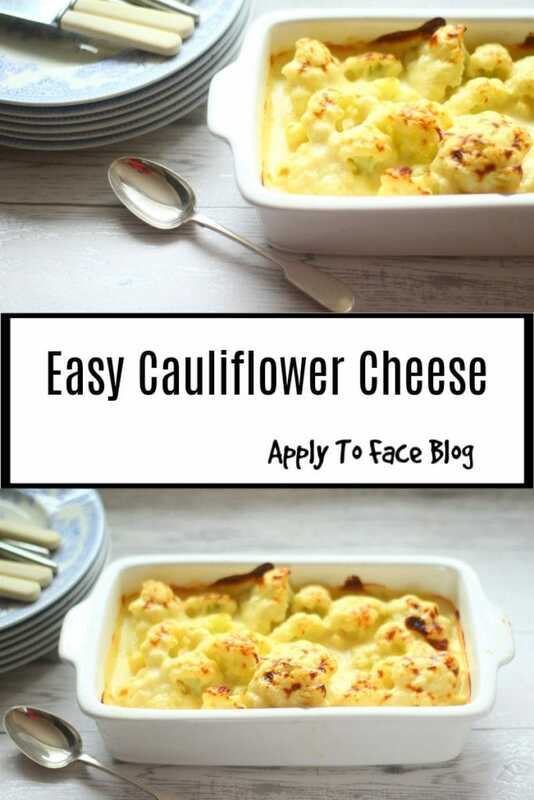 Cauliflower Cheese - Apply to Face Blog. 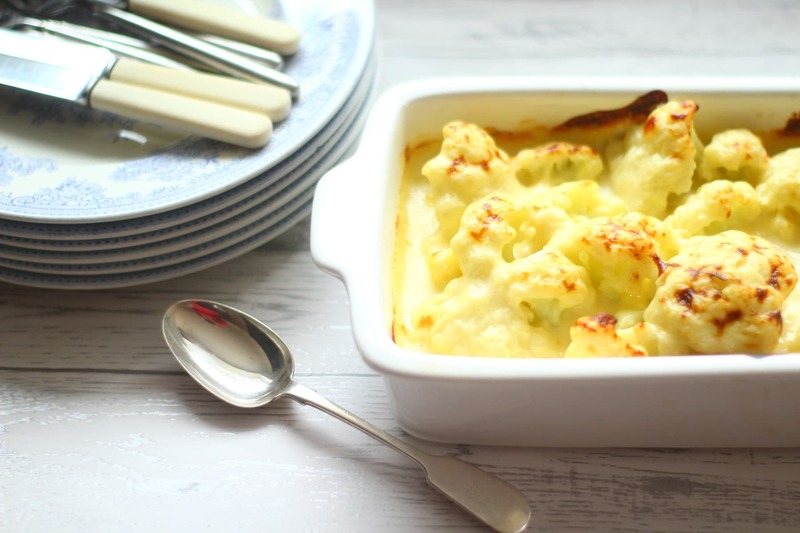 A simple but delicious classic Cauliflower Cheese recipe. 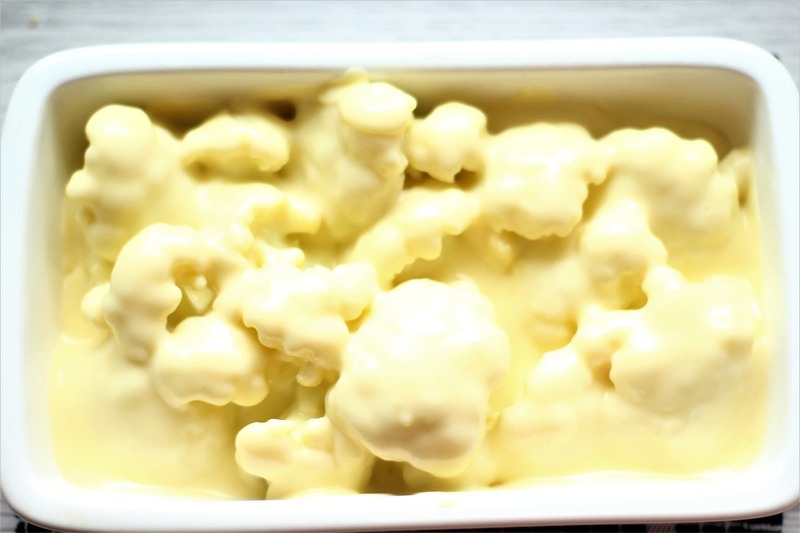 Tender cauliflower in a velvety cheese sauce. I have been making it for years and absolutely love it. A perfect side dish for many meals. 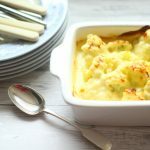 Cauliflower Cheese is one of my most favourite family dishes. My children are not perhaps as keen but I choose to ignore their misguided opinions. I often make it ahead, cover with clingfilm and pop it in to bake 40 minutes or so before I need it. It is screamingly delicious when served for Sunday Lunch and my most favourite partner to it is my Roast Gammon. It is one of my most favourite pairings ever. I made it this last Sunday and it did not disappoint. I ate until it hurt….bliss. 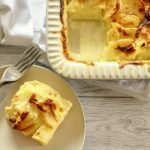 This recipe for Cauliflower Cheese is a classic comfort food that is one of my favourite dishes to serve for Sunday Lunch but it is fabulous with most roasted meats and more besides. I often add some Leeks chopped and fried in butter to the bottom of the dish. The leeks go amazingly well with the cauliflower and cheese sauce. I would even say outstanding. 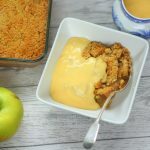 The cheese sauce is very simple to prepare too. All you need is a whisk and some elbow action. In short it is delicious and versatile. The perfect partner to many meat dishes and a real crowd pleaser. I love too that I can make it ahead, cover with clingfilm and then bake it for when I need it. 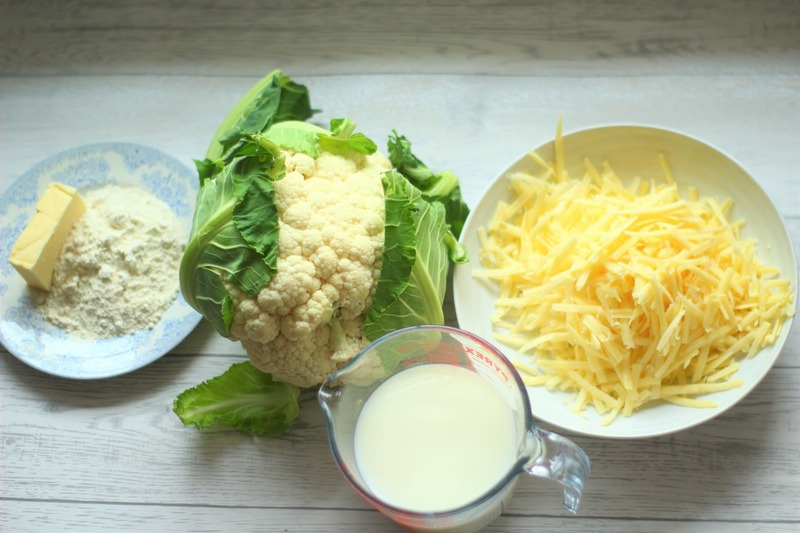 The ingredients required for Cauliflower Cheese are simple. I recommend mature, good quality cheddar to get that real cheesy flavour. Cut up your florets into medium size pieces and bring to the boil in a pan of salted water. Boil for about 5/7 minutes. You want the cauliflower to be just cooked. Take your time in getting the cauliflower just cooked enough. Either overcooked or not cooked enough will impact heavily on the outcome of the dish. The size and depth of the dish is important. I use one that is 27 x 15 cm. This is just right to get the florets nestling closely together in one layer so that the sauce covers it well. Pedantic but worthy of note. The cheese sauce begins with a roux. 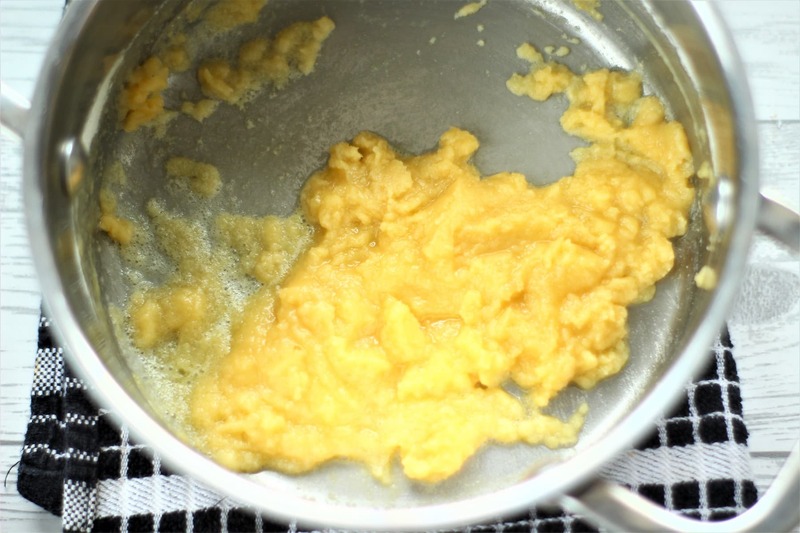 It is simply a matter of melting the butter and then adding the flour over a medium heat. Stir the flour through and allow to cook for about a minute. Add the milk and then use a whisk to break down all the lumps within the roux. They will completely dissolve. Allow the sauce to come back up to a simmer and it will start to thicken almost immediately. You need to keep whisking as this happens and the sauce will become smooth and thick. Add the cheese. Allow to come back up again to a simmer and stir as the cheese begins to melt. Let it simmer for about five minutes. Keep stirring every 20/30 seconds or so to prevent the bottom catching and to help the cheese to disperse. The sauce will now be quite thick and velvety. Taste and add salt. Take your time doing this. You want it well seasoned so as to bring out the cheese flavour. Don’t be a chicken with the salt. Pour over the cauliflower in your dish. It is at this point that I cover with clingfilm and set it aside to bake later if I don’t require it straight away. Otherwise I bake in the oven for about 30 minutes until bubbling and golden brown on top. I like to see a few scorched patches here and there too. 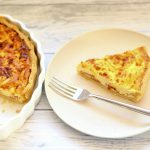 What Can I Serve With Cauliflower Cheese? I previously mentioned my Roast Gammon and this is my absolute favourite dish to serve it with. The Gammon compliments it perfectly. I also love it with Roast Brisket or Slow Cooker Beef. 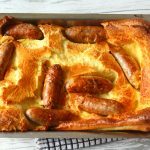 I love it left over in the week from Sunday Lunch with Slow Cooker Sausage Casserole and Easy Sausage Bake and I love it with Toad In The Hole. It brings a whole lot of cheesy fun to the party, midweek or weekend. I have also been known to take the left overs add chicken stock to it and blitz in the food processor. 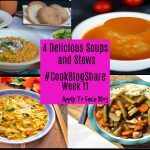 This makes a fabulous soup similar to my Leek and Cauliflower Soup. I cover leftovers with clingfilm and store in the fridge. I use the microwave to reheat it. It will sit there for five days quite happily. 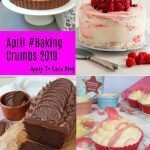 You could make it ahead up to the ready to bake stage, cover it with clingfilm and store it in the fridge for 2 days before baking. Make sure to pour off any water that has collected at the bottom of the dish before baking. You can freeze it too. 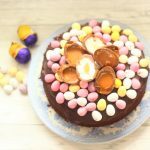 Simply make it up to the point when you’re ready to bake and cover the top with cling film and double wrap it with silver foil. Allow it to defrost and tip away any water before baking it as usual. It is important to cook the cauliflower until just tender. I put the cauliflower into cold water to boil so it depends on how quickly it comes to the boil as to how long it actually takes. For me it’s between 5-7 mins. Overcooked and it is too soft and watery, under cooked and it is unpleasant. Keep a close eye on it and keep testing it with a knife. When it’s ready drain with a colander and put it in a bowl of iced water for a minute before draining again. This stops it cooking any further. 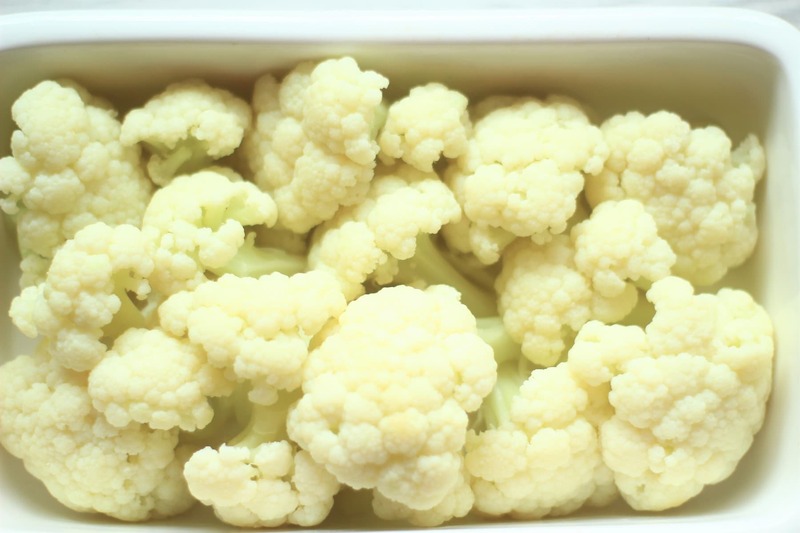 It is best to leave the cauliflower a few minutes to drain well. 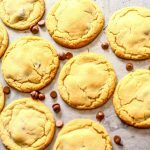 I use a spatula to initially mix in the flour with the melted butter. I then switch to a whisk. It makes the lumps disperse much better than a spatula or wooden spoon. I then switch back to the spatula to stir in the cheese. 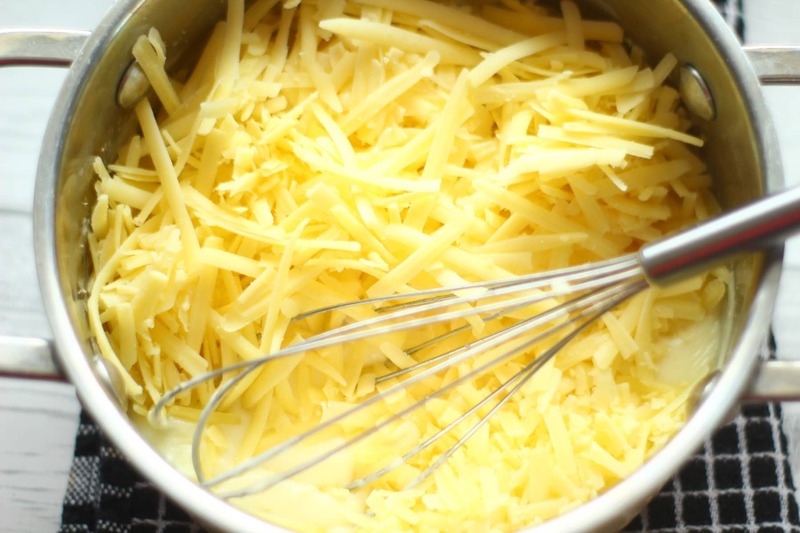 Use a good quality strong cheese otherwise it can affect the smoothness of the sauce. I do think mature or extra mature cheddar gives the best results. Take time to season with salt well. It can make all the difference. I often make it up to the just before baking stage, cover with clingfilm and then bake it for when I’m ready to go. Obviously it will need longer in the oven. I find an extra 15 minutes is sufficient. I like to sometimes add 3 large leeks chopped and fried until soft in a little butter and oil at the bottom of the dish. I then simply put the cauliflower on top and proceed as normal. You can infuse the milk with a bay leaf and half an onion. Bring it all to a simmer for ten minutes in a saucepan and then set aside, remove the onion and bay leaf and use as normal. You could add some nutmeg and a tbsp of Dijon mustard for extra flavour if you like your’s a little more punchy. If I have left overs I sometimes simply blitz in the food processor and add an appropriate amount of chicken stock to get the right thickness to make Cauliflower Cheese Soup. 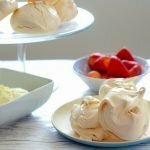 You could add a couple of tbsp of cream to make it even more luxurious. 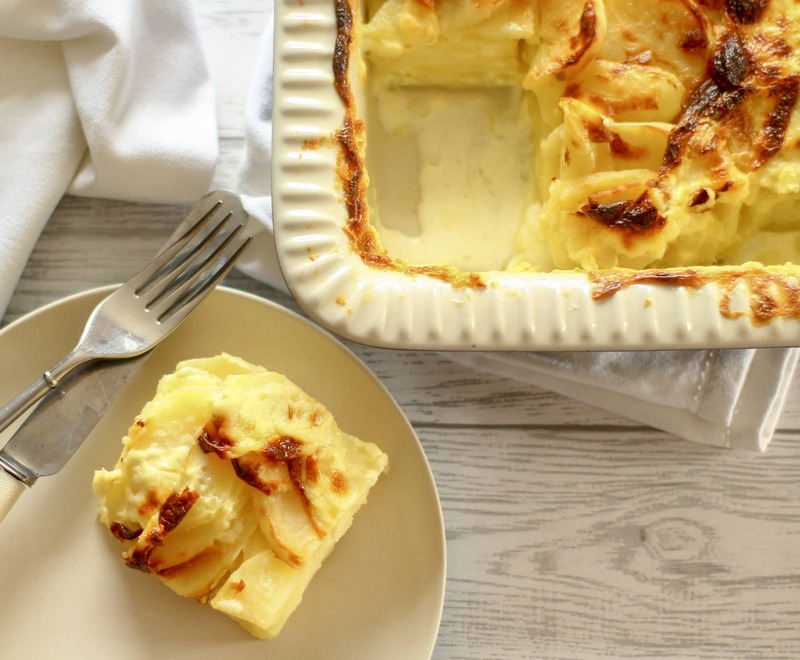 This Cauliflower Cheese recipe is a classic family favourite. Simple to make with a smooth, cheesy sauce to die for. Super delicious. Pre heat the oven to 200 C/400 F/Gas Mark 6. 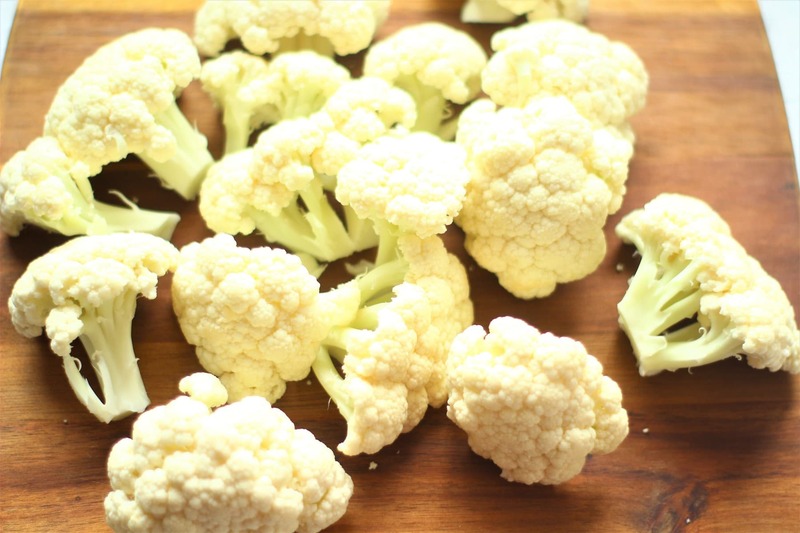 Cut up your cauliflower into medium size pieces and place in salted water in a large saucepan. Bring to the boil and simmer until tender. About 5-7 minutes on my hob. take care to get this right. Drain into a colander and fill the saucepan back up with very cold water and tip in some ice if you have it. Leave for 30 seconds and then drain again. Leave to drain for at least five minutes. Place the cooked florets into your dish tightly and in one layer. Set aside. Melt 50 grams/2 oz butter over a low heat and then add 50 grams/2 oz flour. Using a spatula mix the flour into the melted butter. Allow to cook for a minute. Tip in the milk and use your whisk to break all the lumps from the roux down. They will all disperse into the milk. Allow the mixture to come up to a simmer and keep stirring as it thickens. Once thickened add 200 grams/7 oz cheese and stir through until completely melted. The sauce will be velvety and gorgeous. Let it bubble away for five minutes. Keep stirring every so often to prevent the sauce burning on the bottom of the pan. Pour over the cauliflower in the dish. Put in the oven and bake for about 30 minutes until bubbling and golden on top. 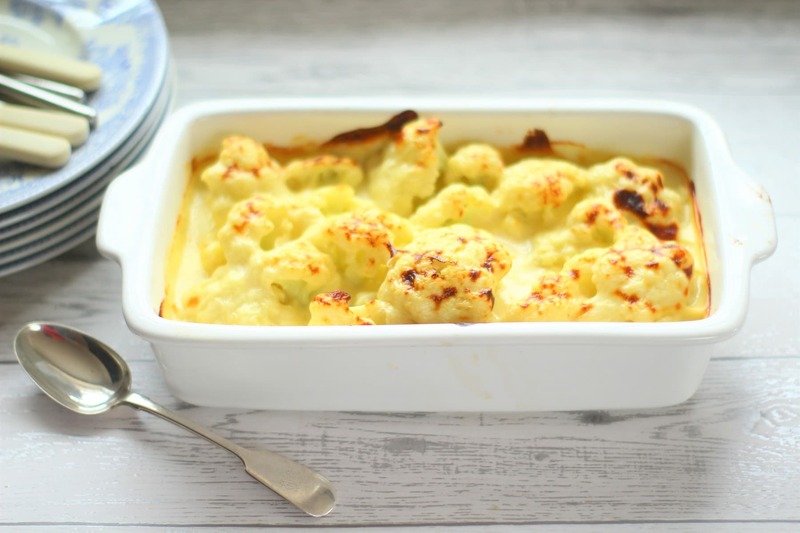 What do you like to serve with your Cauliflower Cheese? I would love to hear from you. Please comment below. Here is another easy but flipping gorgeous side dish. Thanks! It so is, let me know how you get on. 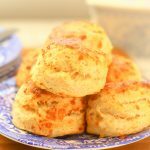 Cauli cheese is one of my favourite things! !